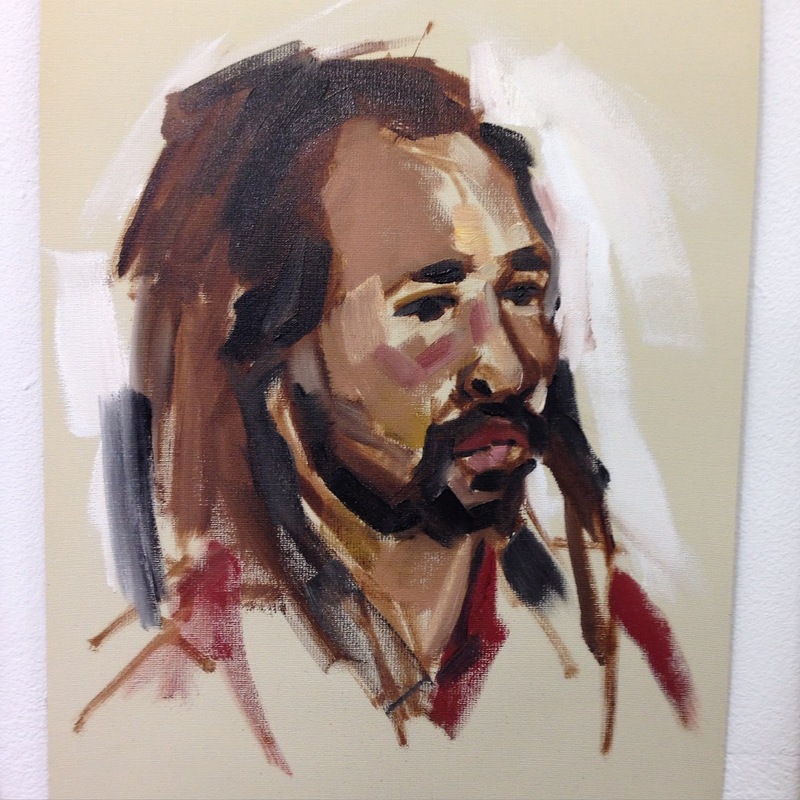 I started back at the Art Academy this week. This is my second and final year of the Certificate in Painting that I've been studying part time. 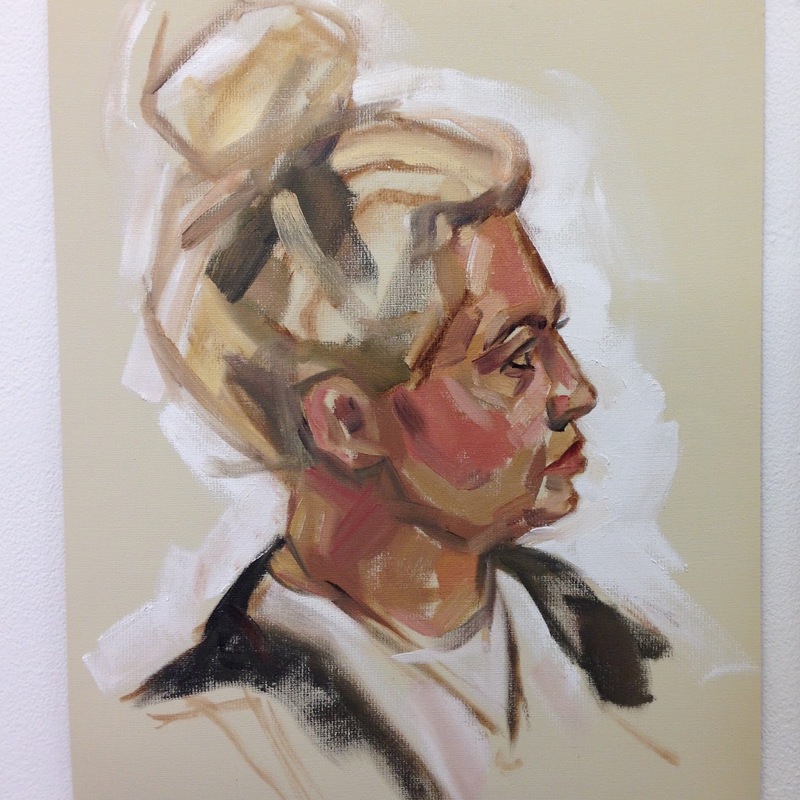 The module I selected to get started with this September is 'Paint Applications in Portraiture' which I will be studying for the next 10 weeks with the help of some great tutors. This week I was taught by Anastasia Pollard (and will continue with her next week too). It was great to be back and I enjoyed that 'back to school' excitement I remember from years past. The common room was full of awkward youngsters on their first day, deer in the headlights. I remember it well. This week we worked on lots of quick studies. We initially started with silhouettes. This was a really useful approach because it stressed the importance of getting the actual head shape correct before working on features. It's incredible how a well-captured silhouette can show more than just the outline but implies features, expression and mood. We then moved on to completing short portraits. This really forces you to not overthink things and I really like the energy you get in this short amount of time. Finally we began work on a more detailed portrait. This is after 1 hour painting and will be completed next week so I will make sure I update you with the finished results. See more of my portraits.